Overwhelmingly evident is the cloud hanging over the Mineral and Petroleum Resources Development Amendment Bill (MPRDA), linked inextricably to a troubled Mining Charter, some movement on the MPRDA being necessary to restore stability to the mining industry in the form of legislative clarity. Legislative clarity will also allow the petroleum and gas industry to hopefully go into a development phase. Here the players need an equal playing field, the State in this case getting a free stake possibly at 20% but paying no development costs since the State now has ownership of the resources. There is one further possible hurdle on the horizon. 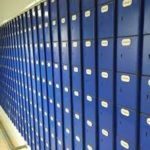 Aside from issues surrounding the Charter, which is technically a non-parliamentary issue, the application of Parliamentary Rules regarding the great number of changes that are being made to the Bill raise procedural issues. It is indeed a very different Bill to that which was voted through Parliament earlier and passed by the National Assembly. For the moment, now that provincial opinion on the more recent changes to the MPRDA have been returned, the provinces each having voted and recorded their nine mandates on the subject, the idea is that the Bill can then finally be returned to the Presidency, possibly via the NA Committee to lodge the changes. 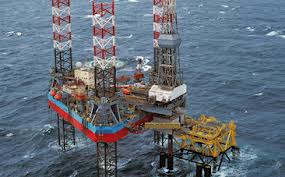 There is a sense emerging that the offshore gas industry is a little happier with the free carry proposals but on the other side of negotiations it appears, from the media, that the Chamber of Mines is struggling to find common ground with Minister Zwane on the Mining Charter, referred to in the MPRDA but not legislatively part of it. It is difficult to imagine any Mining and Petroleum Resources Development Act, as amended, being in force without an agreed and new Mining Charter in place. However, developments in this area will have to be watched. 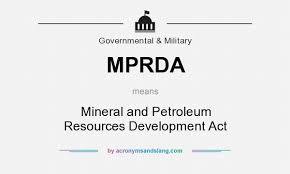 In the list of Bills before Parliament the MPRDA has been listed last (and therefore the longest under debate) for nearly three years, except for a short period when it went to the President. This reflects the long tussle involved. 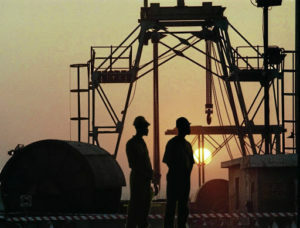 The four major hindrances were the extended negotiations with the offshore petroleum industry on the free carry issue; the fact that President Zuma returned the Bill approved unsigned insisting that it be considered by all nine provinces; issues surrounding what the Minister has defined as “strategic minerals”; the thorny question of mineral beneficiation and the completion of the mining charter, to which the MPRDA refers but remains not incorporated. Many more issues have still to be debated, whilst the basic parameters will have to come to a head on the parliamentary “rules of the game” regarding the passage of the legislation itself. Meanwhile, NCOP hearings on the Bill have been scheduled for the last two weeks of June 2017. Meanwhile on the MPRDA, Opposition members will no doubt study closely the Rules of Parliament which state, as was the case with the FICA Bill, that if a Bill is returned unsigned then only the issues for which the Bill was returned may be altered and then only once. However, unlike the FICA Bill which was returned on the basis of one issue, that of unwarranted searches the MPRDA Bill was returned on the basis of lack of consultation with the provinces. To amplify, if the President only returned the Bill on the basis that the NCOP and National House of Traditional Leaders had not been consulted, it may be a contested issue as to whether the Bill will be challenged under these Rules. This is a legal issue. The Legal Resources Centre is quoted as being interested in such a challenge. For years, it has been the view of many that both industries that each should have its own “MPRDA”, especially in the light of the fact that both have their own specific and very different Charters. Whilst crude oil, subsequently refined to petroleum and gas, are certainly natural resources now owned by the State, theoretically the only resources that are ‘mineral’ are those which have a crystalline molecular structure and are “mined”. This would naturally exclude extracted crude oil and gas. Consequently, both industries, which fall under two government departments and which are distinctively different from one another, have historically been under one piece of legislation governing all geological resources. This difference between the two industries is expressed in many ways. 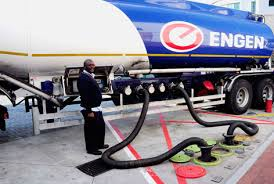 The petroleum industry is centred around its refineries, very much technical industries with ‘upstream’ components in importation and exploration and ‘downstream’ interests involving distribution, retailing and property interests. Their product is very directly linked to the cost of doing business and the cost of living. 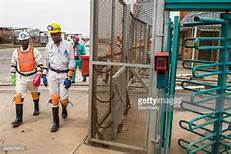 Meanwhile, the mining industry is essentially involved in extraction with massive labour factors, high capital costs, sophisticated export involvements and beneficiation. Its product is closely linked to the survival of industry in general and is directly linked to GDP. Legislatively, therefore, one garment certainly does not fit all – despite each industry having its own charter. Inevitably separate legislation will have to be developed but such changes are seen as being down down the road for the moment. Whatever route the Bill now takes in Parliament, any challenge to its progress will be particularly frustrating for investors if there are more delays. Those issues mainly arise in the mining sector where far more is at stake and consequently rating agencies are flagging Minister Zwane’s actions. The gas exploration industry is clearly tired of waiting. The results of three days of parliamentary hearings on the Bill, which have included some side issues such as Shell SA on the future of shale gas and any demands from the House of Traditional Leaders, should prove interesting. The major issue remains as to what is government policy is on the whole particularly regarding labour as distinct from just Cabinet ambitions for BEE participation percentages. Most attention will now fall upon the complementary non-legislative document, the Mining Charter, despite the unclear parliamentary situation. Following the public hearings, the NCOP Select Committee will summate these meetings and the relevant departments will respond over the following days. Possibly, at some stage, Minister Zwane will address Parliament on the issue to clarify the situation of government’s view and relevant comment on the Bill will also no doubt arise from media briefings by the Ministry on both subjects. For the moment, much of the issue will be dictated by events outside of Parliament.